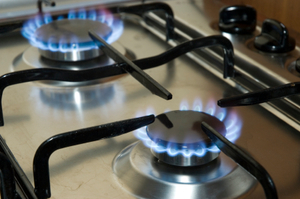 A report from the Energy and Climate Change Committee has urged the UK's gas and electric industry regulating body to take stronger action in ensuring energy customers get a fair deal. The MPs recommended Ofgem take action against energy companies that they claim have been taking advantage of customers reluctant to change providers, whilst offering cheaper deals to new consumers. The MPs used the example of the 'Big Six' energy firms - all part of the Warm Home Discount Scheme - as companies that used customer inertia to take advantage of those unsure about changing providers, whilst at the same time offering "loss leader" deals to lure in new consumers. The report stated: "We find it unsatisfactory that Ofgem should be so hesitant about launching preliminary investigations into potentially anti-competitive behaviour." The report also raised concerns over the confusing level of tariffs which currently exist for the customers, claiming that at present, instead of a healthy competitive market amongst energy firms: "the opposite appears to be true of the energy market, with suppliers adopting similar pricing and hedging strategies, adding to consumers' perception that suppliers are 'all the same'." An Ofgem spokesman said that the regulator appreciated the committee's concern about transparency and that it publishes weekly reports on wholesale and retail prices for that very reason. He said: "We also share the committee's concerns about competition in the energy market, which is why we are progressing with the most far-reaching reforms since competition began, to make it simpler, clearer and fairer for consumers." With many energy firms raising energy bills this year and more and more customers struggling to pay their bills, there has been a lot of pressure on the Government to take more definitive action against the price hikes. In fact, both Ofgem and the Government have already proposed measures to simplify energy tariffs for customers, with Energy Secretary Ed Davey announcing plans to cut down the tariffs to a choice of four, mirroring the Ofgem proposals. However, the Government have taken this a step further by announcing customers should also then be put on the cheapest of these.